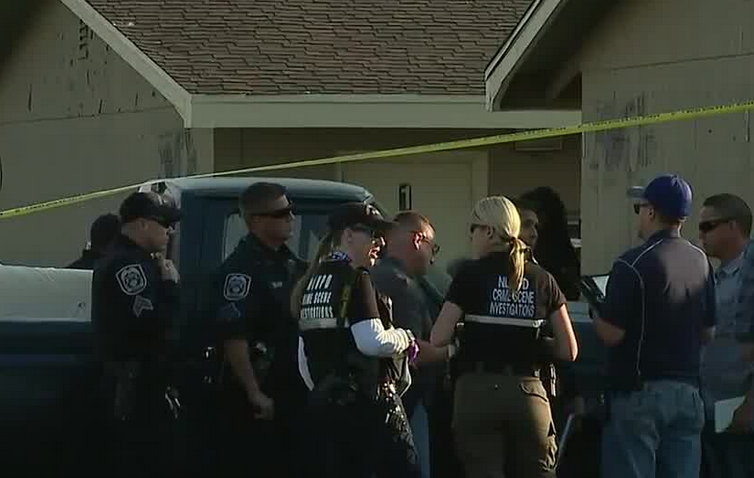 UPDATE JUNE 10: North Las Vegas police are investigating another homicide in the same location as Friday's shooting and say it is related. A neighbor found a 26-year-old man with a gunshot wound inside an apartment around 6:50 Saturday morning in the 2500 block of Ellis Street. Medical personnel pronounced him dead on scene. Detectives continue to investigate the details of what led up to the shooting. However, they believe Friday's homicide is related to this one and that the parties are known to each other. No suspect is in custody yet. 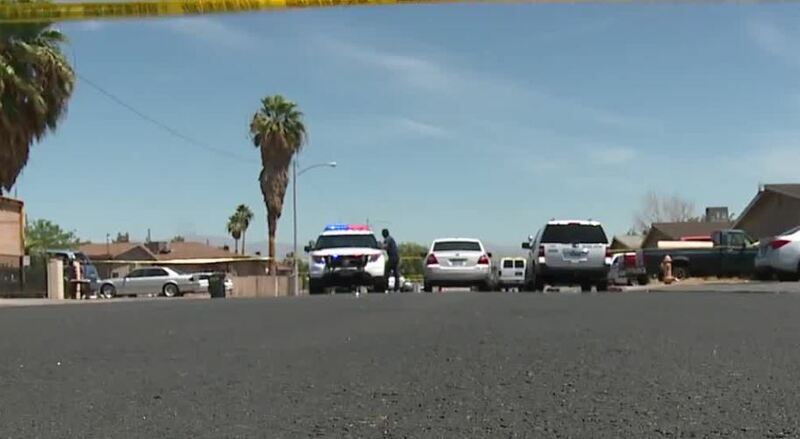 UPDATE 5 P.M. JUNE 9: A 13-year-old boy was among the three people shot early Friday morning in North Las Vegas. A 33-year-old man died on scene while the 13-year-old boy and a 20-year-old man were transported to University Medical Center with non-life-threatening injuries. Witnesses reported hearing multiple gunshots coming from inside a back apartment when the homicide occurred. Detectives continue to investigate a motive for these violent actions, however, the preliminary investigation indicates the victims and suspect knew each other. There is no suspect in custody at this time. The Clark County coroner will release the identity, and cause and manner of death, pending notification of next of kin. Anyone with information in this case should contact the North Las Vegas Police Department at 702-633-9111 or, to remain anonymous, call Crime Stoppers at 702-385-5555. 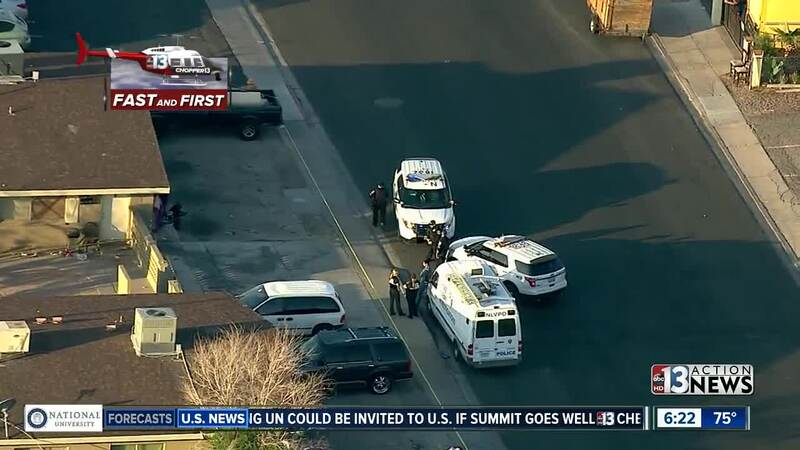 UPDATE 8 A.M.: Police are now saying that three people were shot in this morning's North Las Vegas incident. Of the three people shot one has died, one is in critical condition and the other is in stable condition. Officers don't have anyone in custody at this time. 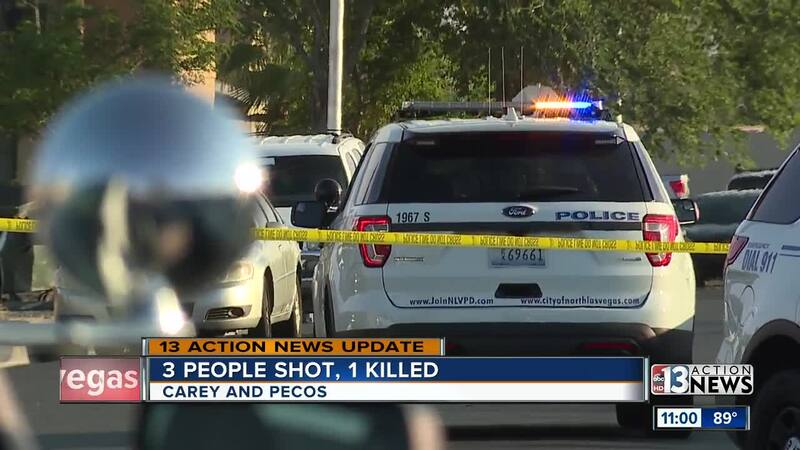 ORIGINAL STORY: Police have confirmed that two people were shot on the 2500 block of Ellis Street near Carey Avenue and Pecos Road. Officers received a call about the shooting at 5:15 a.m. and say that both people were transported to the hospital. One person has since been pronounced dead and the other is in critical condition.